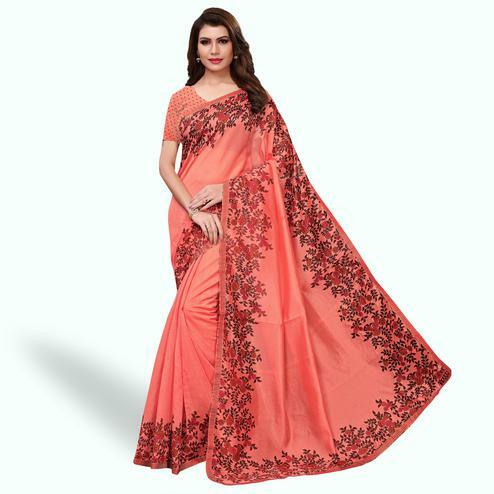 Get a new ethnic look wearing this pretty rani pink colored casual wear saree. This sarees is made of cotton silk fabric which is highlighted with beautiful woven pallu & border with tassels. These sarees are comfortable to wear and care. Paired with matching fabric blouse piece. You can wear these sarees for casual outings, office, regular social meets and other homely events. Pair it with traditionally stylish accessories to complete the look.